Home appliances have been becoming increasingly smart in the past few years. Smart home software has made everyday tasks – locking your door, controlling the thermostat – easier than ever. Now you can check on your pool through a Bluetooth enabled device called pHin – just in time for summer. pHin simplifies the tedious task of pool maintenance. Instead of taking countless samples to regulate your pool’s chemistry, just plop pHin into the water. The device will monitor your pool’s chemical levels, notifying your smart phone when it’s O.K. to jump in. 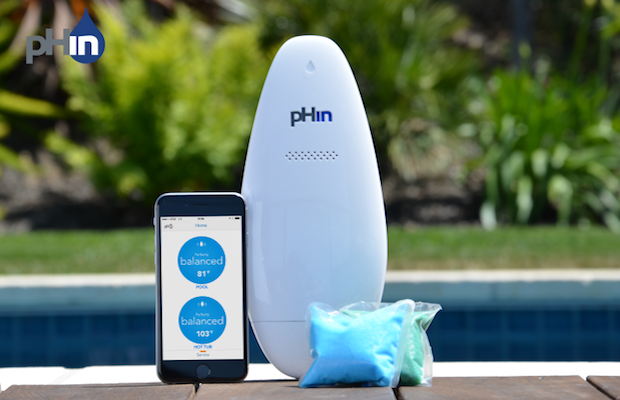 If your pool water isn’t up to par, pHin’s subscription service will send you pre-measured chemical pods to dissolve in your pool. Cross pool maintenance off your to-do list. pHin’s got you covered.